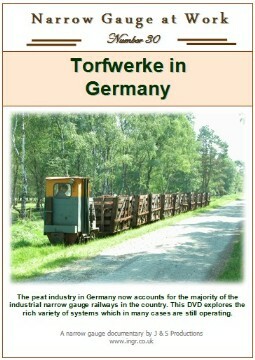 Although large numbers of peat railways in Germany have closed in recent years, there are still significant numbers operating today. 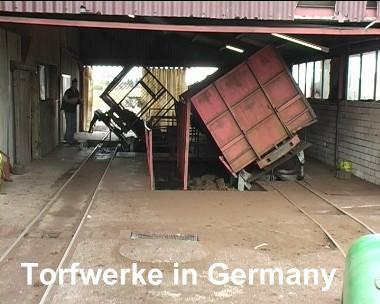 This DVD shows many examples of the railways currently operating across the country and also delves into the industrial archaeology of some sites where railways have closed down in recent years. 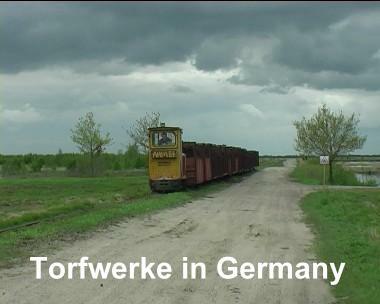 At Holthaus and Fortmann near Lohne, the newest loco, a Schöma built in 2006 hauls a loaded train up the last stretch to the yard for unloading. 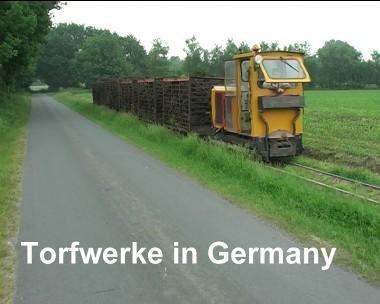 Just south of Papenburg a Klasmann-Deilmann peatworks operated until 2006, and a loaded train is seen turning the last corner into the reception sidings for tipping. 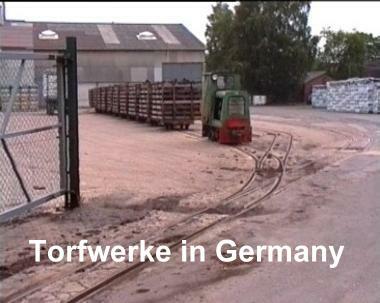 Once the wagons where shunted into the peat mill at Papenburg a creeper mechanism pulled the wagons though the tippler. These views were taken in 2006. 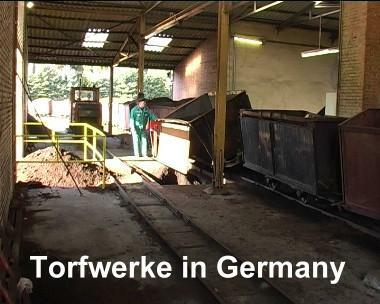 Torfwerk Böske is an extensive peatworks near Goldenstedt which also uses relatively new Schöma diesels for all the linework. A view into one of the tipplers at Torfwerk Böske. 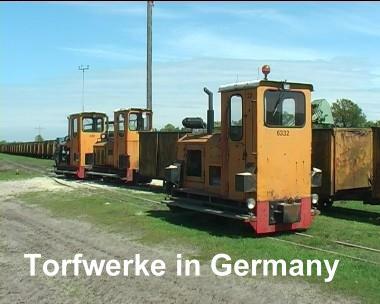 In the south of Germany there used to be more variation in motive power, and the peatworks at Ainring had 4 mines type Deutz locos for shunting and line work. 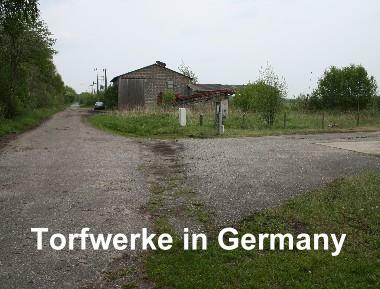 Near Freistatt, Torfwerk Wehrbleck had ceased using a 600mm gauge railway many years ago, and when visited in 2010, one of the few signs that there had been a railway here was the broken up tarmac where the rails used to be. 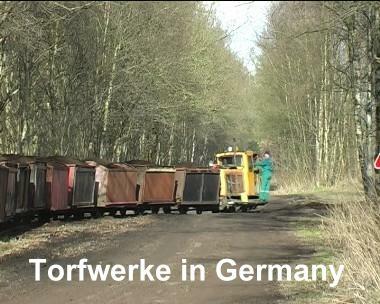 In 2010, Torfwerk Wietinghausen appeared to be in the closing stages of its operation with only 2 working locos on the remains of a once larger system. 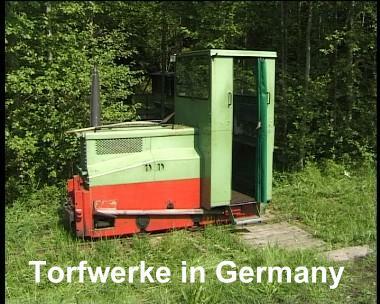 The small Schöma is one of the smaller locos still to be found working today. 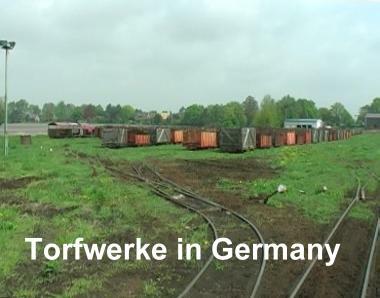 At Neustadt, 900mm gauge is used for an extensive line radiating west from the town. A number of new Schöma locos and high capacity bogie wagons allow large volumes per train to be transported at reasonable speed. 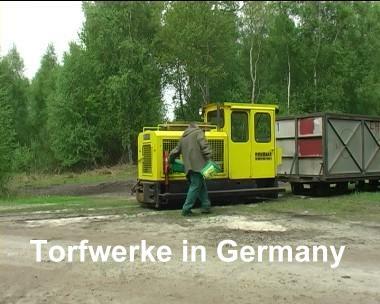 Humuswerk Lichtenmoor had managed for many years with their fleet of locos dating back to the 1940s, but in the last few years had purchased a new Schöma. The peatworks at Essern has now closed down, and the remains of the running line is now in use as a museum line. This view dates back to 1993. 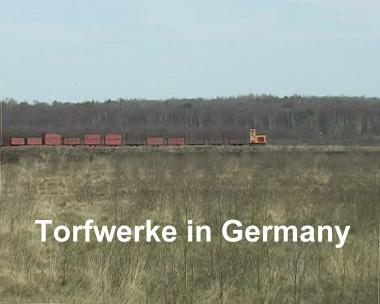 At Borstel a large peatworks uses reception sidings of 13 parallel tracks to manage the trains coming into, and from the tippler. 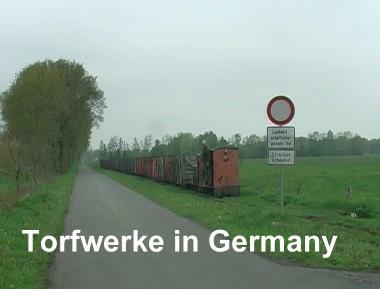 At Borstel, the section of railway running away from the yard follows a minor road for the first kilometer or so. The heavy trains usually require at least 2 of the Diema locos double heading, as seen here in May 2010. 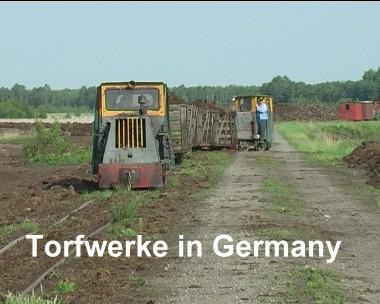 One of the latest peat railweays to be brought into operation is near Twist and is managed by Klasmann-Deilmann who deploy the largest fleet of narrow gauge locos in Germany. 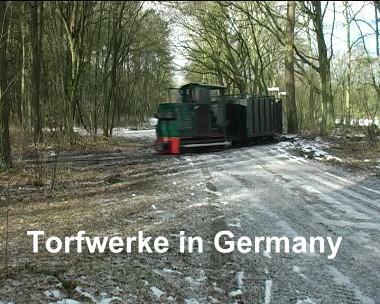 The picturesque 600mm railway at Steinfeld runs along side a road for a short distance, then through woodland to reach the moors. 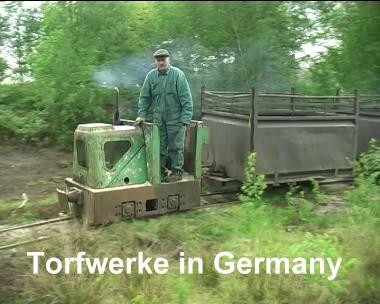 One of the newer Schöma locos at Torfwerk Böske runs alongside the old peat workings to the east of the works on the way out to the loading area.